Homeowners and auto insurance are two of the most common insurance policies available. However, they are also some of the most misunderstood. 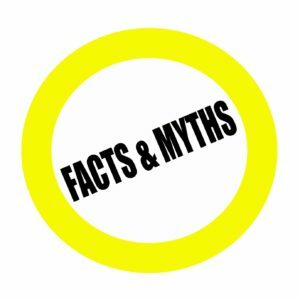 With all the information that is available about insurance coverage, it can be easy to start to believe some facts that are not true. Make sure that you know the truth behind these common insurance myths to ensure that you invest in the right amount of coverage. Your credit score will not affect your car insurance – your credit score is one of the biggest factors that your auto insurance company will use when deciding how much you will pay for your coverage. The better your score is, the less you will pay for your coverage. You should insure your home for its market value – when looking for the right amount of homeowners insurance, you should base it off what it would cost to completely rebuild your home after a total loss. In most cases, the cost to rebuild your house is much more than what you paid for your home, so you want to make sure that you have plenty of coverage. The color of your car affects your rates – in most cases, your auto insurance company will not even ask the color of your car when they are determining your rates. They will take a look at the cost of your car, engine size, age, and body type when deciding how much you will pay each month. Your home insurance will cover all your assets – while your policy will provide coverage for your personal belongings, it may not be enough to cover everything you own. Consider increasing your coverage, or scheduling expensive items within your policy to provide the protection you need. For all your home and auto insurance needs and to ensure that you are protected from any unfortunate situation, contact Abbate Insurance in New Haven, Connecticut.